Join us for an exciting collaboration between two artistic schools in Leslieville! 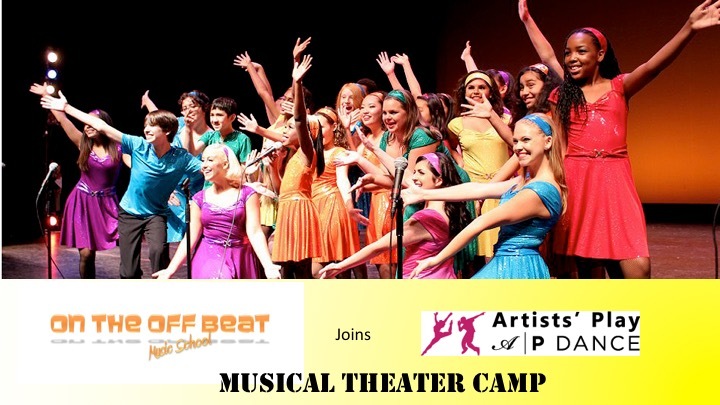 OTOB is joining with Artists’ Play Dance Studio for one week of Musical Theatre Camp! Students will learn hits from their favourite musicals. 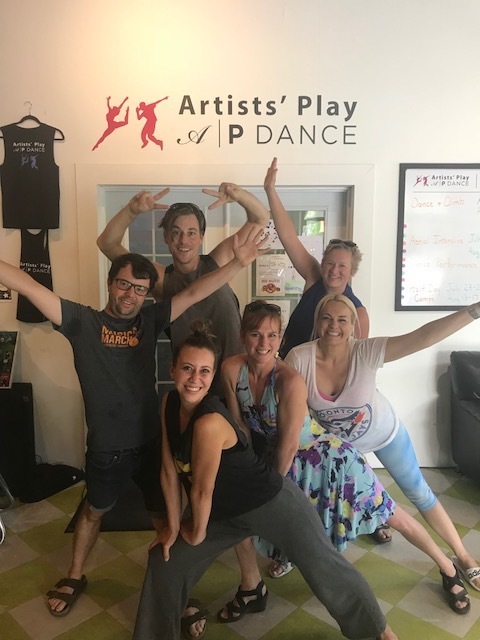 They will spend the afternoons at OTOB singing, playing games and learning music, and the mornings working with the dance instructors at Artists’ Play to choreograph their musical numbers! Final show will be at Artists’ Play at 4:00pm Friday afternoons (blocks from OTOB). 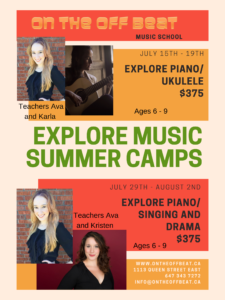 For musical theatre camps please register and pay Artists’ Play Inc.
Kristen is a Toronto-based Musical Director, Composer, Actor and Writer. 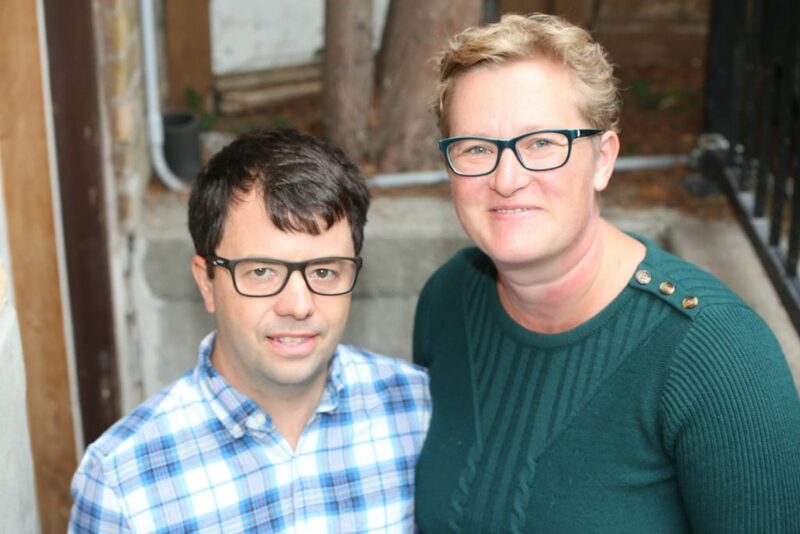 She holds a Master of Arts degree in Study of Theatre, Drama and Performance from University of Toronto, and is a founding member of Toronto-based theatre ensemble, The Howland Company (where she performed in recent productions Punk Rock, Casimir and Caroline, and 52 Pick-up). 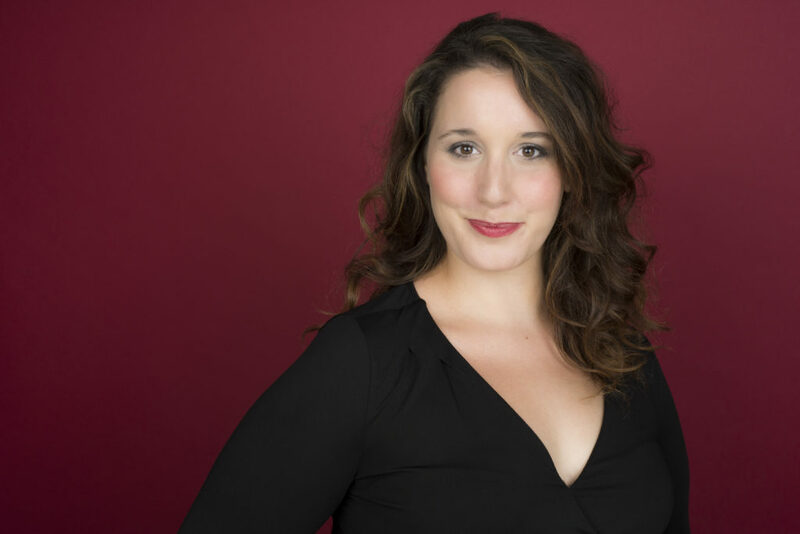 Selected musical credits include: Pickled Heart (Composer/Musical Director – London Fringe); Hamlet (Musical Director – Hart House Theatre); Casimir and Caroline (Musical Director – The Howland Company); Measure (still) For Measure (Composer – University of Exeter), and her original one-woman play, EARNSHAW (Writer/Composer/Performer). Your Artists’ Play and OTOB team!